On Saturday, the Pro Football Hall of Fame Selection Committee voted on which football legends would be sent to Canton. After a long process beginning months ago, the Selection Committee finally narrowed the list down to just eight players. 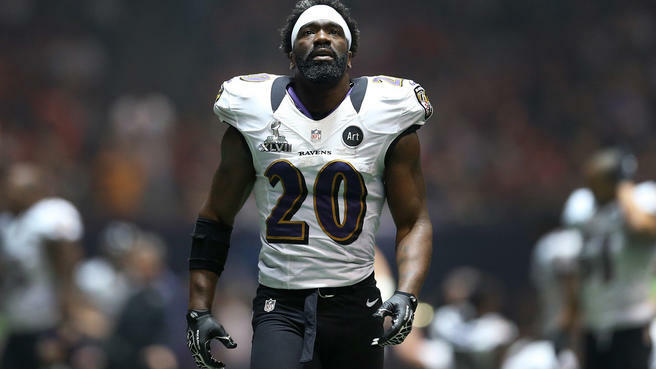 One of those players is Ed Reed, the prolific safety, often considered the greatest to ever play his position. Reed was drafted by the Baltimore Ravens in the first round of the 2002 NFL Draft. The pick was one that Ravens fans would never forget. Reed spent 11 glorious years in Baltimore and became a cornerstone of the franchise. Reed cemented his status as the best safety in the league early in his career. His first Pro Bowl appearance came in 2003, his sophomore season. Reed ultimately played in nine Pro Bowls. In 2004, 2006, 2007, 2008, and 2010, Reed was named a first-team All-Pro, and a second-team All-Pro in 2003, 2009, and 2011. Reed, known for his abilities as a ball hawk, led the league in interceptions in 2004, 2008, and 2010. Reed was named a member of the NFL All-2000s team and is a proud member of the Baltimore Ravens Ring of Honor. He left the Ravens in 2013 and retired in 2015 after spending all of the previous years as a free agent. Reed joins two other Ravens in the Pro Football Hall of Fame. Both left tackle Jonathan Ogden and middle linebacker Ray Lewis were each inducted on their first ballots as well. Ogden, class of 2013, Lewis, class of 2018, and now Reed, class of 2019, signify the outstanding success the Baltimore Ravens have seen since joining the NFL in 1996. In those brief 23 years, the Ravens were able to go to the playoffs 11 times, win two Super Bowls, and cultivate three Hall of Famers, with a fourth on the horizon in Terrell Suggs. At the time of the publication of this article, the Class of 2019 also includes cornerback Champ Bailey, safety Johnny Robinson, Broncos Owner Pat Bowlen, Cowboys personnel manager Gil Brandt, tight end Tony Gonzalez, defensive back Ty Law, and center Kevin Mawae.